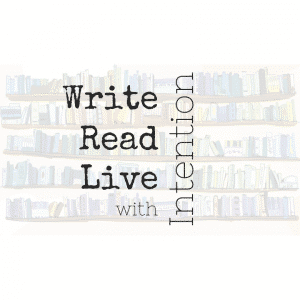 What does it mean to write, read, and live with intention? As I think about refining what it means for me to help writers learn to tell their stories better, it comes down to three areas. Masterful writing. Active reading. Intentional living. Three interconnected pillars. Improve one and, I believe, the others will follow. Learning to write well comes from focusing on the fundamentals and iterative practice. You have to sit in the chair and work your way through bad writing. But, learning will also bring a new appreciation to the stories you read and help you deal with your life in a new way (whether you publish or not). Reading promotes learning from experiences you may never have (all from the comfort of your couch). Active reading (and it counts whether you’re reading or watching), not only teaches you but also challenges you. It gives you a feel for the stories you most want to create, encourages curiosity, and increases your understanding of the world we live in. Reading with intention means choosing stories purposefully and letting yourself be inspired by them. It will make for better writing and bring another level of understanding to your experiences. Living to our highest potential means enjoying the journey along the way. It’s about finding joy in what we do and having the right attitude along the way. Not only that but living intentionally will give you interesting experiences to bring to the page and an emotional connection to the characters and stories we study. I assume you’re reading this because you want to learn how to improve your writing. You’d like people to actually read what you write (and to keep coming back for more). How do you do that? Well, I’ve talked about how I believe the best way to do so is to learn how to read better, but there’s more to it than that. Writing better comes from iterative practice. What does that mean? It means keeping track of your writing every day so that you can make subtle changes that will help you become more productive. Then, compare how many words you produce one day vs the other to find the environment that best suits you. It’s like using the Scientific Method. That means writing every day. And, you’ll have to force yourself to recommit to your intention to write every day, but that’s ok. Though some people say you don’t have to write every day (and they aren’t wrong), I think writing every day builds momentum and increases your productivity. It’s easier to keep going that it is to feel like you’re starting over every time you pick up your project. 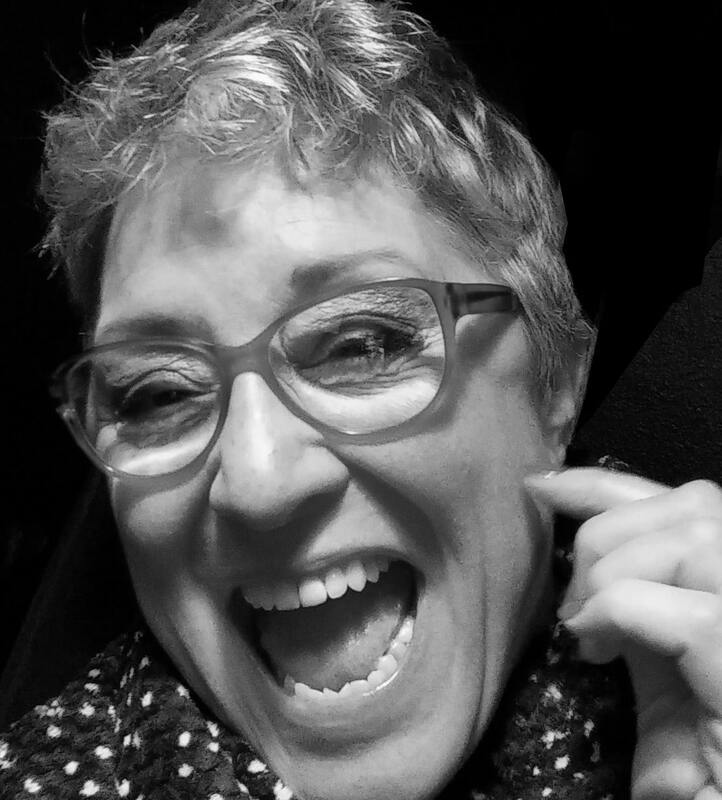 How can you write with intention? By thinking about what you’re going to write before you sit down at your desk. By getting excited about what you get to write during your session. And, by setting achievable goals that will motivate you and keep you going through the long slog of the middle build. Writing with intention means knowing what you’re bringing to the page and WHY. By all means, try a new storytelling technique no-one has ever used before, but make sure you have a good reason for doing so and that it suits your story. You should know why your character takes the actions they do, who they are at their core, and how they change. Meaning, they shouldn’t be some version of you or someone you know without any real authority themselves. And the same goes for your story. Being aware of what you are trying to say isn’t confining. It’s freeing. It gives you permission to write a story that works in a way only you can. Do so with purpose. But what does writing with intention give you in return? Not only into your work but into your own life. At some point, you may read through your writing and realize what you wrote was a way to help you deal with a situation you didn’t even know you were facing. I believe that’s a healthy way for your brain to try and reach out. Writing can do that for you. It can also give you a new appreciation into how other authors crafted their own stories. And the more you write, I find, the more ideas you have. Writing helps you process information and be able to see it in a different light, which can help you deal with your inner demons. By putting something on paper, you give yourself a level of separation from what’s going on in your own mind. That level of separation can help you see something you didn’t before, and let you see yourself as different than your problems. How can you improve your writing? Nothing will improve your writing more than sitting at the computer and producing words. As much as I’d love there to be a book we could read, a course we could take, or a lesson from Shawn we could absorb, we all have to spend significant time writing out our stories in order to make them better. Figure out a process that works for you and get the words on the page. Then you can edit and rewrite until it works. Learn from your past mistakes. And, be honest (but forgiving) with yourself. Once we’re taught to read, it seems to be a forgotten skill we take advantage of. Each subject, no matter your choice of study, depends on your ability to interpret strings of letters into something meaningful before you can solve a problem. Yet, we don’t go back and cultivate our competence once we are able to form our own sentences and pass a test. Why? Reading is a fundamental skill. One that has the power to improve your writing and add another layer of understanding to your lived experiences if you let it. Still, 17% of the world’s population is illiterate, and around 24% of Americans haven’t read a book in the last year. And I’d bet the numbers are higher for those who don’t actively engage with the books they read, which may not be important to the average reader, but should be to you as a writer. What does it mean to read with intention? It means choosing what you read with care, studying what you do read, and finding ways to bring new ideas from what you read to your own life and work. It doesn’t mean forcing yourself to finish a book you hate. (Though it could mean reading a book multiple times in order to figure out all its nuances.) And, it means reading lots of books in different genres. Reading with intention asks you to think about what is on the page (beyond just letting it play out like a movie in your head). To pay attention to the tools an author uses and to infer meaning from their subtle clues. To be an active participant in the journey. And, it’s something we can’t help but do: to bring our own perspectives to the stories we read. But what does reading with intention give you in return? Stories provide perspectives that are different than your own, which can help you look at the world in a new way. So, the more you read, the more likely you are to question everything around you. Cultivating curiosity means bringing to your life and writing depth and success. When you can experience vulnerability through a character, you learn how to put yourself out there and overcome fear. You’ll take more risks which will lead to greater rewards. And, you’ll live your life doing the things you want to because you know you can. How can you improve your ability to read? We all have the same number of hours in the day. And, theoretically, the same amount of potential with which to reach our goals. And the same ability to develop our talents. All it takes is making choices on how to spend your time, your money, and your energy. Of course, I understand that you might have obligations and commitments that you cannot break. We all do. It’s part of being human. But that doesn’t mean you can’t take steps to improve the life you live and get closer to what you want no matter where you currently are. What does it mean to live with intention? You can’t plan a trip if you don’t know where you’re starting from and where you’re going. The same is true for your life. Living intentionally means taking stock of where you are now (mentally, physically, and emotionally). It means being honest with yourself. And asking what it is you truly want. We all make choices. I believe being conscious about making those choices is what will help you get closer to the way you want to live your life. Couple that to visualizing the life you want and you’ll be unstoppable. But what does living with intention give you in return? In order to get what you want, you have to do the work. Unfortunately, there are no shortcuts. No get rich quick scheme. No magic potion. Luckily, living with intention and doing the work you need to in order to get what you want will help you develop the discipline to succeed. And discipline will help you read and write more. I’m not saying that you’ll never have problems. What I am saying is that every problem comes with an equal and opposite amount of good. You just have to look for it. That’s where attitude comes in. It might be annoying to be positive all the time, but who cares when being positive will teach you to focus on the good and therefore bring more of it to you. Not to mention the fact that taking time to do the things you want to will give you experiences you can bring to your writing and will help you relate to the stories you read on a deeper level. Fully enjoying life and taking the time to actively think and consciously act will bring you wisdom and richness. How can you improve your life? Thanks for this, Rebecca. Just what I needed this afternoon! Your thoughts about reading with intention are especially valuable to me as I try to expand my scope and depth in reading. I’m not among the 24% of Americans who haven’t read a book in the past year, but I haven’t read nearly as many as I’d like to have read. It’s so easy to forget that my desire to write books came from reading books I loved in childhood. I’m so happy to have inspired you, Anne! Thank you for reading my words and taking them to heart. It means a lot to me.